Mike's Jerky recently introduced some new flavors. See my reviews of other flavors from Mike's Jerky. 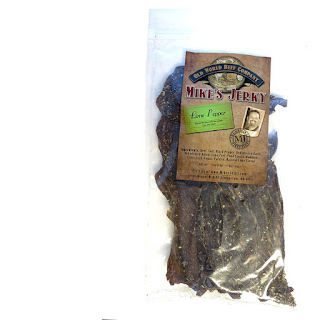 Mike's Jerky is based out of Albuquerque, NM, owned and operated by Mike Grier. It's a New Mexico Style of jerky where its sliced thin, dried crisp, and crunches when you bite into it, yet still chewing like real meat. This Lime Pepper beef jerky is described by the company as, "You put the lime with the pepper, Cha-Cha-Cha!!" The first thing I taste is the natural meat flavor, followed by a light salt, and hints of lime. The black pepper follows right along. The chewing brings on a bit more of the natural meat flavors, while the seasonings ramp up. In terms of the "Lime Pepper" claims, it delivers on the flavor. The lime has a faint zest in the background along with a light tangy, fruity note that leaches out in each chew. But it's the black pepper that has the better showing with its noticeable sharp spice throughout the chewing. In terms of spiciness, it's not hot by any means, but may be felt as spicy among those with lesser tolerances. 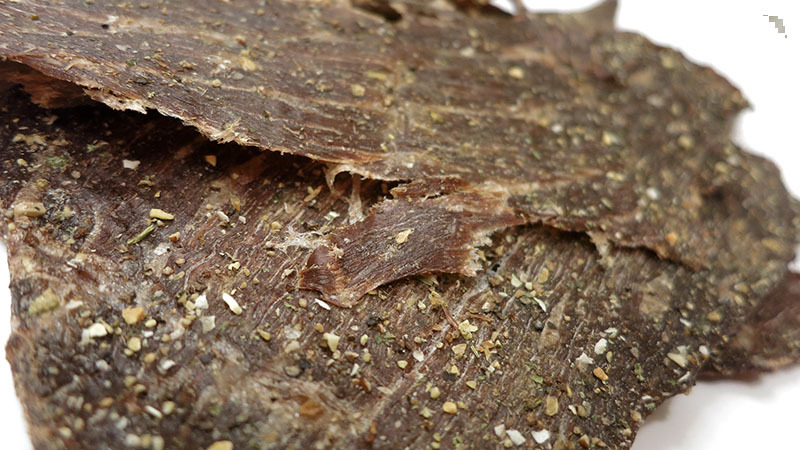 Otherwise, the primary taste profile starts with the natural meat flavor, tasting comparable to deli-sliced roast beef. It's then seasonings of black pepper, salt, garlic, onion, and of course, the tangy, fruity lime. The level of saltiness feels moderate. The meat consistency looks great. Thin slabs of top round, lightly marbleized, are dehydrated to a dry crisp. Each bite produces an initial crunch, but chews down soft and feels comparable to deli roast beef. Chewing is very easy, but feels dry. This Lime Pepper variety from Mike's Jerky makes a great alternative to those who love black peppered jerky by throwing in a light tangy, fruity lime in each chew. 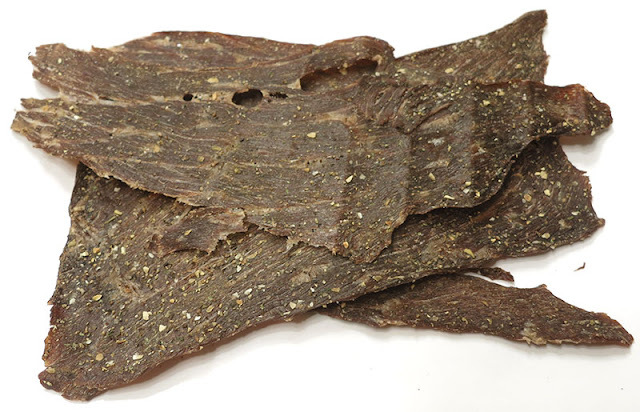 Think of it more as a Black Pepper jerky with a twist of lime rather than an even shot of both. The black pepper seasoning that Mike puts together is savory without going overboard on the the salt, and doesn't overwhelm on you spice. Otherwise, it's the same great meat consistency that makes Mike's Jerky famous, sliced extra thin, dry and crisp, and equally as addictive as potato-chips.